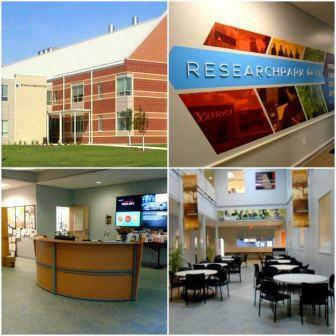 EnterpriseWorks is the 43,000 square foot, award-winning start-up incubator owned and operated by the University of Illinois at 60 Hazelwood Drive, Champaign. Since opening in 2003, it has been the launching pad for 160 startup companies, which have collectively raised more than $865 million in venture capital funding. EnterpriseWorks provides an ideal environment with 24 full wet-chemistry laboratories, furnished office space, an extensive array of shared equipment, server co-location facilities and conference rooms with complete presentation facilities and high-speed wireless internet access.